Have you ever spent a summer night listening to frogs peeping and croaking from unseen puddles, ponds, or streams? That summer night soundtrack can go on for hours. You can't see what's happening but you can imagine how many frogs are out there, chattering away under a June moon. What are they saying? Well, there's the obvious mating call answer, of course. Or they could be telling each other where all the good flies are. And while we wish they were taking turns with their rehearsed stand-up routines, we think it's more likely that they're discussing what to do with the new guy who's telling everyone he's actually an enchanted prince! 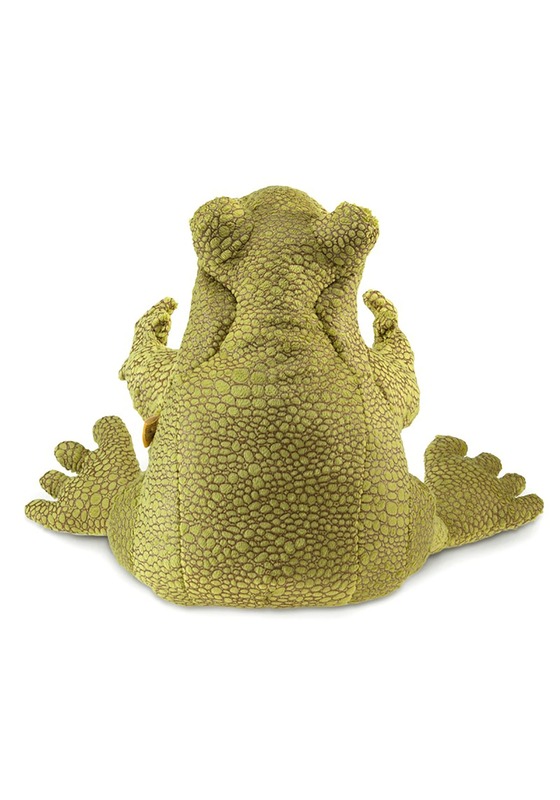 With a shiny scaley print fabric and a soft belly, this frog puppet is cute and cuddly! 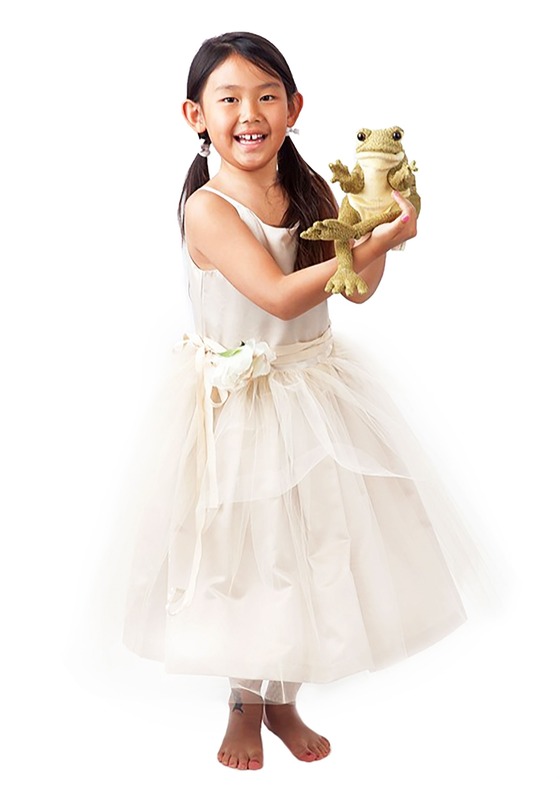 The frog has three-dimensional eyes and a movable mouth to make conversation with your froggy friend hilarious. This stuffed frog is the perfect way to get into your costume. Whether you're dressing up as a wicked old witch and the man who ghosted her after two dates or a princess and her princely frog, this puppet is sure to get a laugh. 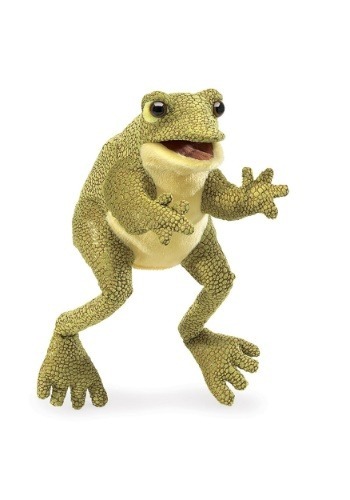 Simply perfect your croak and strike up a conversation with your companion. You'll have 'em leaping with laughter in no time! Standard One Size 12" 12"